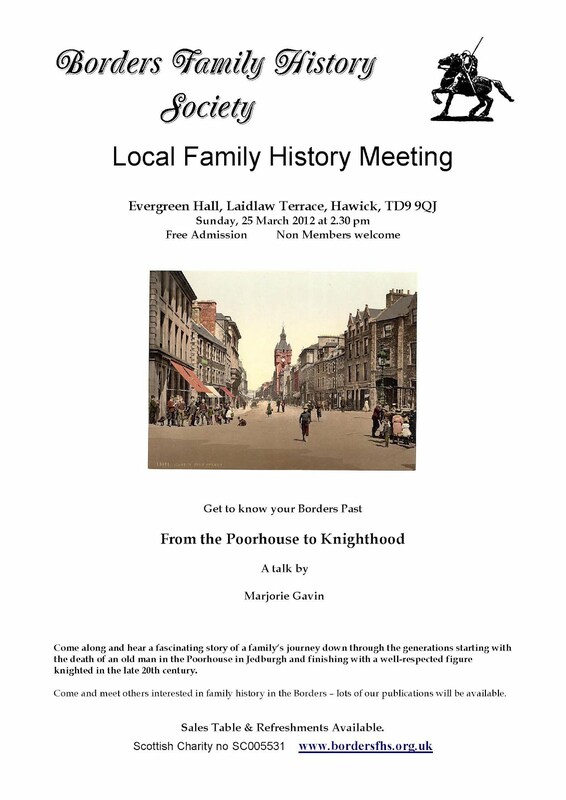 Our next meeting, on Sunday 25 March 2012, will be at the Evergreen Hall, Laidlaw Terrace, Hawick, TD9 9QJ when Marjorie Gavin will be presenting a fascinating story of a family’s journey down through the generations starting with the death of an old man in the Poorhouse in Jedburgh and finishing with a well-respected figure knighted in the late 20th century. Starts at 2.30pm. Free admission, open to all. 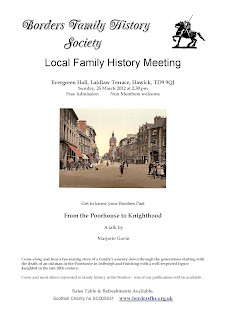 Come and meet others interested in family history in the Borders – lots of our publications will be available. Teas & coffees.